Hehe...you can find it easily, but they look so lovely, don't you think so? 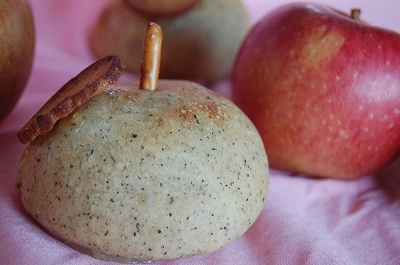 Sour dough with tea leaf crust and apple filling inside. 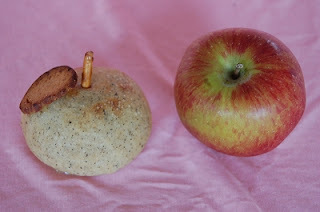 The core of apple is stick pretzel, and leaf is a biscuit. 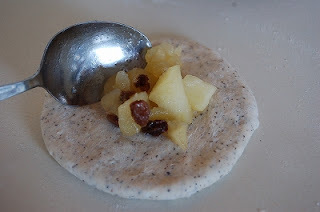 At first, make sourdough, and make apple preserve with raisin. OK, get ready, proof the final dough!! 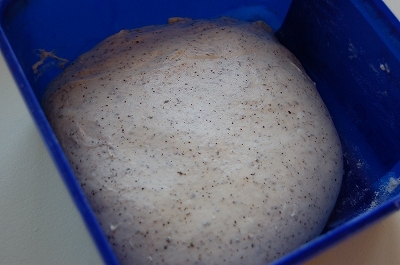 In a small container, combine flour, water and sourdough starter and stir 16-20 hours to ripen at room temperature. 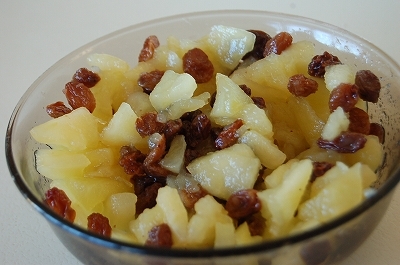 In a small sauce pan, heat apple, raisin, sugar and lemon juice with low heat, and stir constantly, until sugar is dissolved. 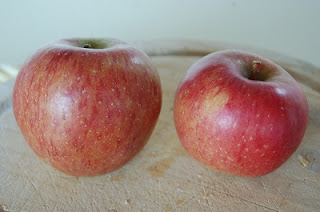 Stir in apple and simmer until apples are transparent. 1. In a large bowl, mix final dough flours and sugar, salt, tea leaves. Add sourdough starter and water, oil. Mix with your finger combine the ingredients till water and flour combined well. 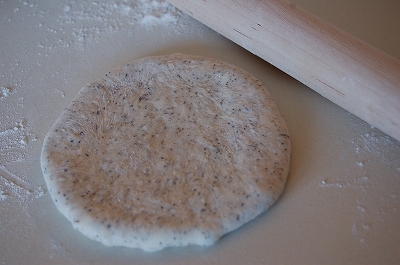 Place the dough onto the floured counter, then knead it for 10 minutes till it becomes smooth and elastic. 2. Put the dough into a container with cover, place it warm place (35℃) till it becomes double size (about 8 - 12hours). I set overnight. 3. Pour the dough onto floured counter, then deflate it, knead briefly. Divide into 7 pieces(70g each). Shape them into balls. Set the dough with cover for 20 minutes. 4. 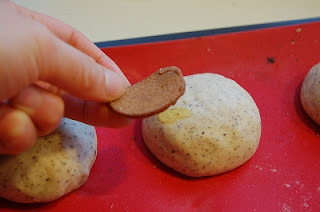 Punch the dough, make a round shape with a roll pin. 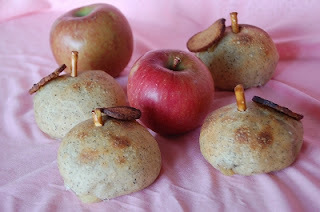 Put the apple filling on the dough. 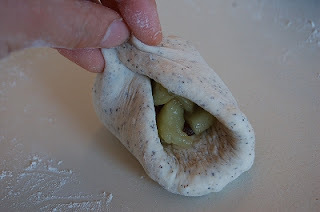 Seal the dough tightly, try not to put air in. 6. 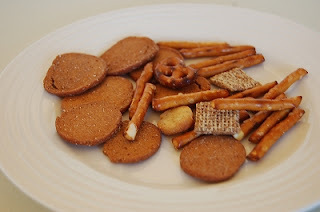 Bake them at 190℃ for 15 minutes, until golden brown. 7. Decorate leaves. Use any type of jam as glue. Cool them on a wired lack. 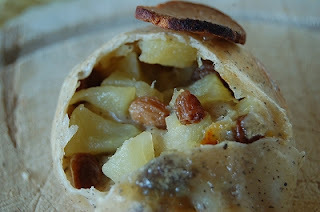 Poke cores on the centre of buns.